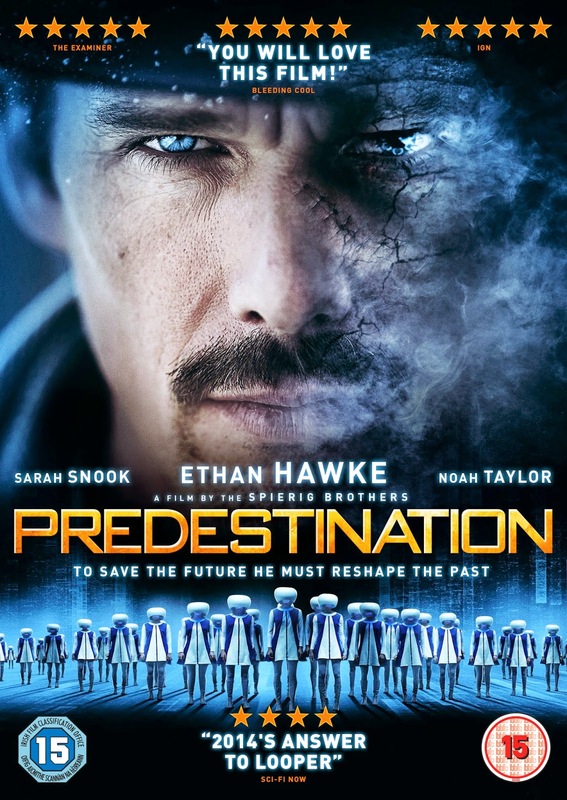 Predestination chronicles the life of a Temporal Agent (Ethan Hawke) sent on a series of time-travel journeys between the 60s, 70s and 80s to prevent crime before it even happens. With an outstanding break through performance by Sarah Snook; also starring Noah Taylor, the movie is written and directed by The Spierig Brothers and is based on the classic short story 'All You Zombies' by Robert. A. Heinlein. This movie starts with a Temporal Agent (Ethan Hawke) posing as a bartender in 1970 to get a transgender ex-astronaut (Sarah Snook) to tell his/her exremely unusual life story and then hopefully eventually being able to save the lives of thousands of people. The plot is a difficult one to describe without you watching it yourself, so just a very brief synopsis. Predestination combines sci-fi, thriller and an almost tragic love story. Even though the short story was published in the late 1950s it carries slight traces from The Matrix and The Men in Black. It is one of those films where you have to pay really close attention, no skipping out to the toilet or making a cup of tea, once you start watching don't stop without pausing it or you'll lose your way in the story. We are giving two lucky winners the chance to win a copy of the movie on Blu-Ray and a 'You Already Love This Film' baseball shirt. Watch out on our Twitter and Facebook pages for details of how to win.